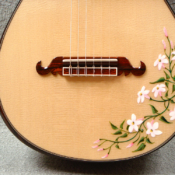 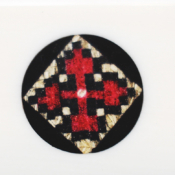 I have found that if there is a lot of inlay in the rosette, the fingerboard and the head, I have to be careful of overloading the guitar with too much detail. 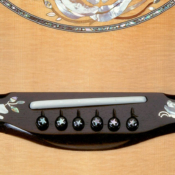 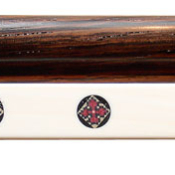 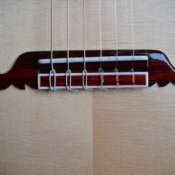 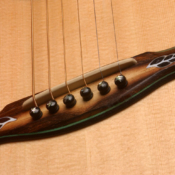 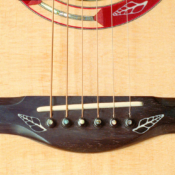 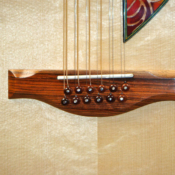 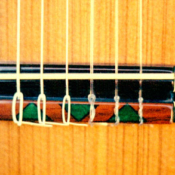 The bridge is however an often overlooked area for connecting the story between the rosette, fingerboard and headstock. 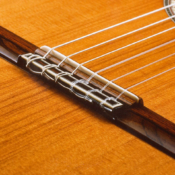 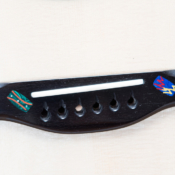 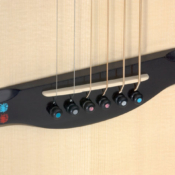 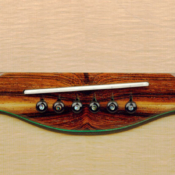 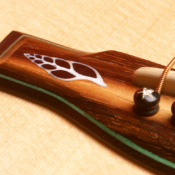 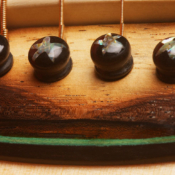 On the steel string guitars you will see Brazilian Rosewood bridges these are again laminated onto ebony, and work very well to tie in a Brazilian Rosewood rosette inlay, fingerboard and headstock overlay.